Were you waiting for the official announcement of OnePlus 3? If yes, then you will be flabbergasted at the price that the 6GB RAM model is being offered for. We truly have one of the most affordable Android flagships of 2016. 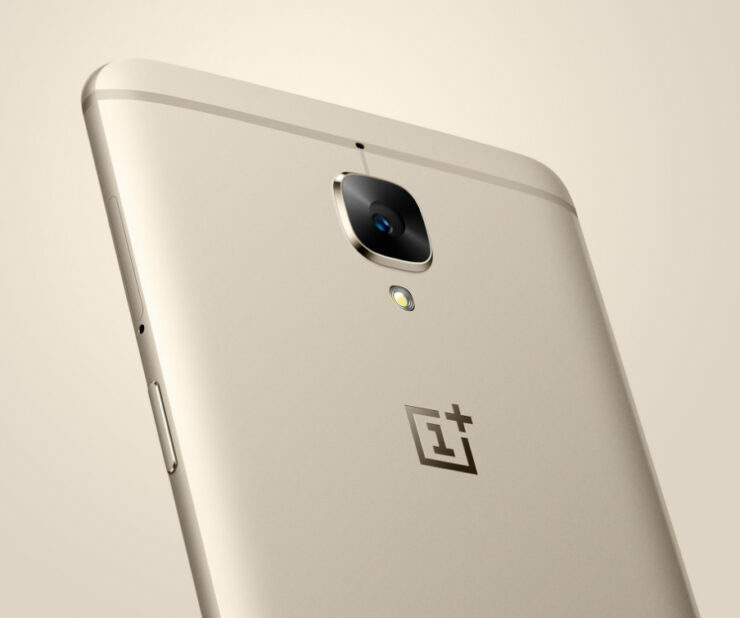 Featuring a 5.5-inch Optic AMOLED display, OnePlus 3 features a 1080p resolution, and we are glad that the company stayed its hand from incorporating a QHD display, all for the sake of battery life. 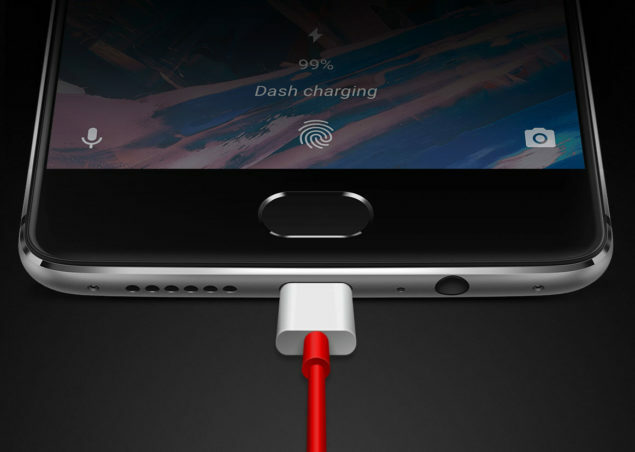 While we are disappointed that the company only placed a 3,000mAh cell inside the non-removable housing, OnePlus’ Dash Charge technology will allow the smartphone’s battery to charge from 0-60 percent in just a matter of 30 minutes, which is kind of like how Qualcomm’s Quick Charge 3.0 functions. Once again, the company has left out one of the most important features from a smartphone; a MicroSD card slot, but the company did incorporate 64GB of UFS 2.0 storage, which will come in handy when you want to record 4K footage at 30FPS. Apart from recording footage at the granddaddy of all resolutions, OnePlus 3 also comes with a 16MP Sony IMX298 camera sensor, and for those that don’t know, this is the same sensor that is present at the rear side of Huawei Mate 8, the previous generation flagship. 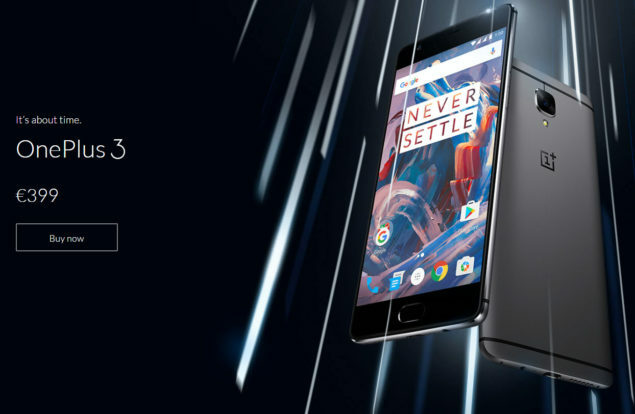 There is even a product video provided about OnePlus 3 so if you want to check that out, the link has been given below. For the price of $399, the smartphone features everything that you wanted in a premium phone, except for the expandable storage option, but we will let that slide. 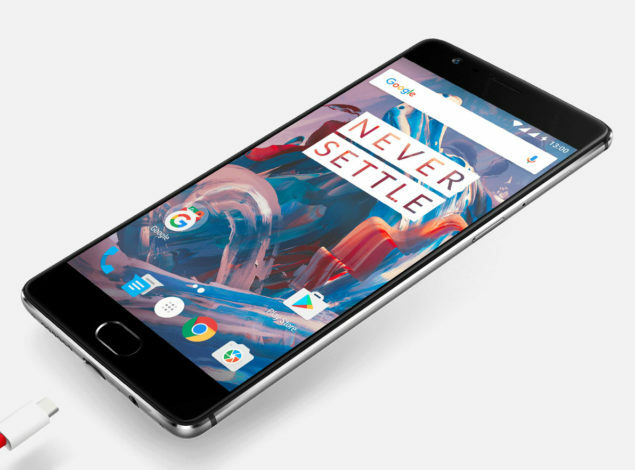 What did you think of the announcement of OnePlus 3? Tell us your thoughts right away.